Why is it that when you are going through something, a song has to play that fully well describes your situation or someone tells you something that relates to what you’re going through. It’s like the universe is indirectly communicating to you. Or how else would you describe it? I noticed that my favorite song of the day, will always relate to what I’m feeling that day. If I’m sad, a sad song will catch my attention and I’ll love it … and I can replay it like all day (and no, I’m not joking…lol). If I’m in a happy mood some fast beat rhythm that gets your energy up is what would catch my attention. 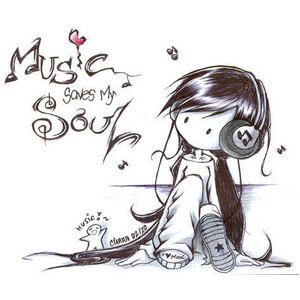 I think music is another version of hypnosis. Just that in this case instead of someone dangling some pendulum before your eyes it’s the rhythm, the voice, the message and the beats that get the better part of you. And that’s why for some of us music is a kind of a therapy. Maybe that’s why today I can love a song to bits and the following day, I feel zilch for it. Or I used to hate a song, and all over sudden it’s my favorite … that happens to me a lot. Funny enough the day you are experiencing something weird (good, confusing, bad, somewhere in-between), a song that describes the situation probably with coupled a solution or some niceties somewhere in the mix is what plays and catches your attention. Ps: Now I’m in love with this song. That’s what got me thinking, I love songs or hate them based on what they tell me … for me some songs seem to me like the universe is communicating and telling me, you ain’t alone going through that *whatever it is* it could be about, love, hustle, family, friends, you just name it. I even find myself scrolling through the play list looking for that song that’ll speak to me on a particular day, and for sure my searches never fail me. Songs are sometimes are source of strength… again maybe that’s just me. Have a SUPER lovely week. God bless y’all!